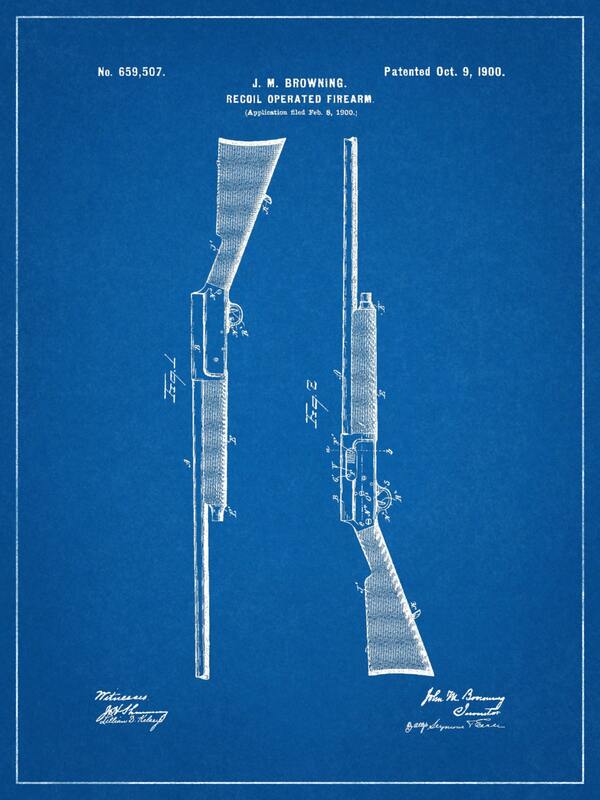 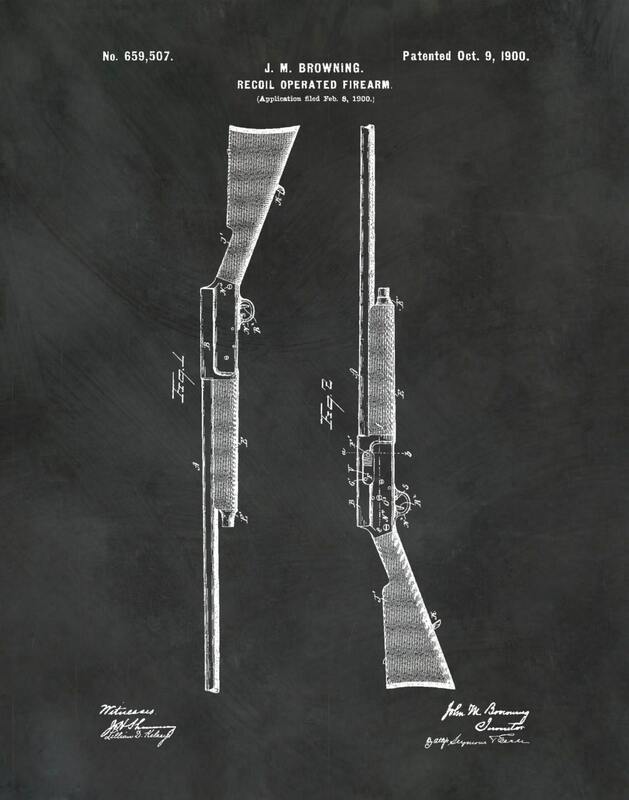 1900 Browning Rifle Recoil Operated Firearm Patent invented by John Browning. 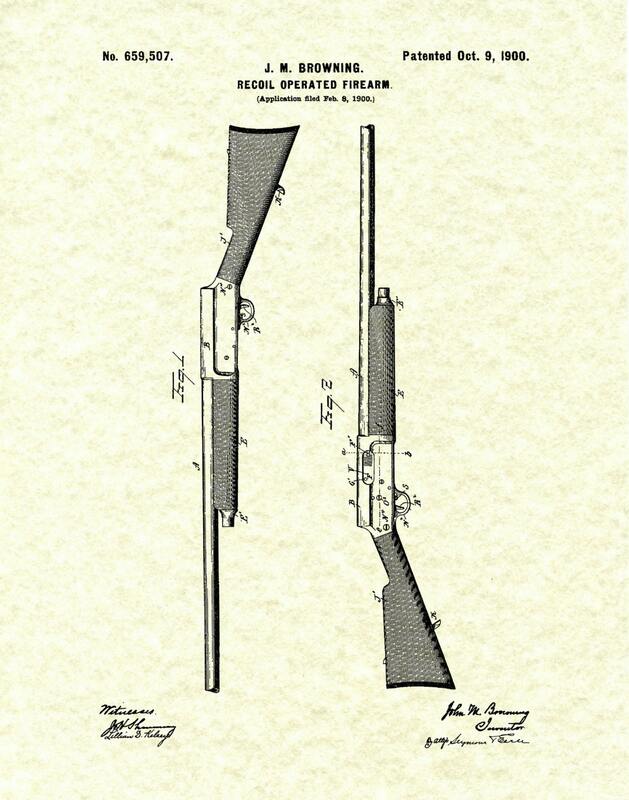 The patent was issued by the United States Patent and Trademark Office on October 9, 1900. 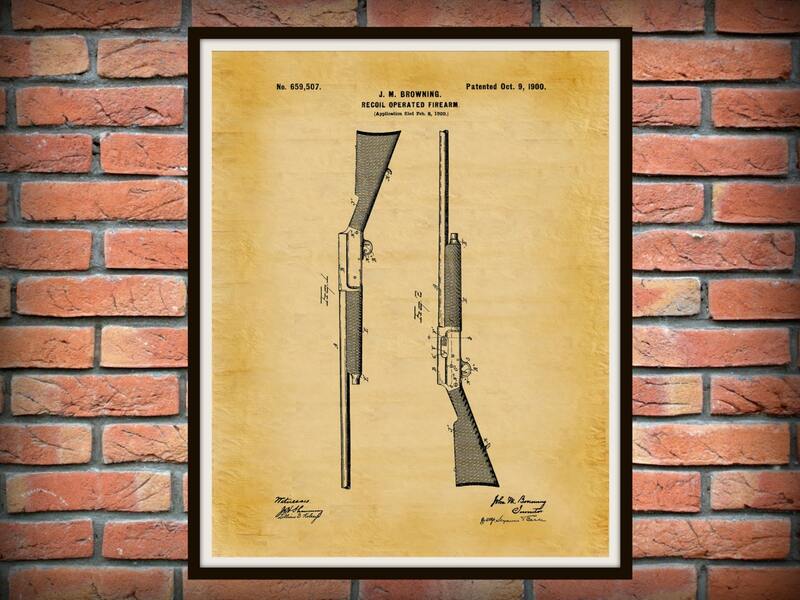 All prints ship in a protective sleeve then inserted into a rigid envelope or tube to ensure safe delivery to your home or business.